Alex: After Bianca decided she had a serious craving for a Rueben Sandwich, we decided to sniff out one that we heard was pretty decent. 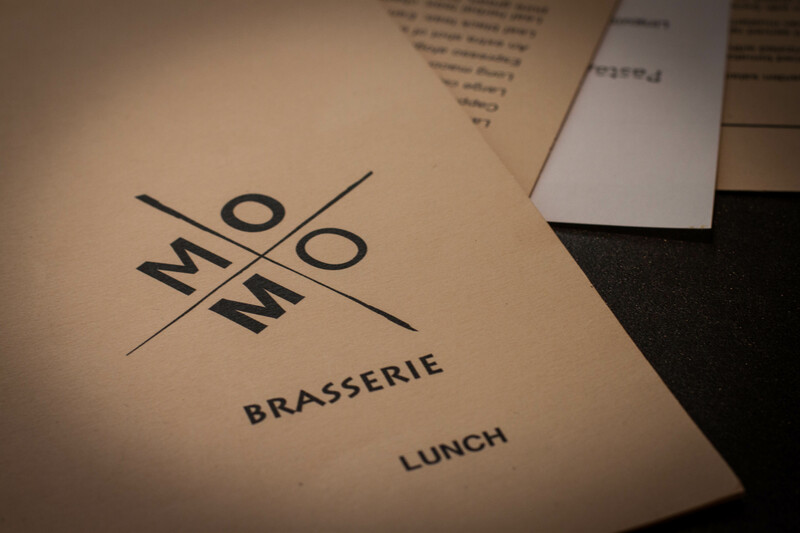 So we found ourselves at Momo Brasserie, since we were there, why not throw in some pulled pork and call it a day! To beat the office crowd we decided to make our way there a little early. As expected for 12pm on a weekday, the place was filled with office workers having a bite and big wigs in suits running ‘business meetings’. Generally, that’s what I call my lunch and dinner dates. We got the menu upon sitting down, but who are we kidding? We knew what we wanted already. No time for games! “I’ll get the Reuben Classic Sandwich” I could almost see Bianca salivating at the mouth as she ordered. Personally I am not a big fan of Reuben’s but this one I quite enjoyed. 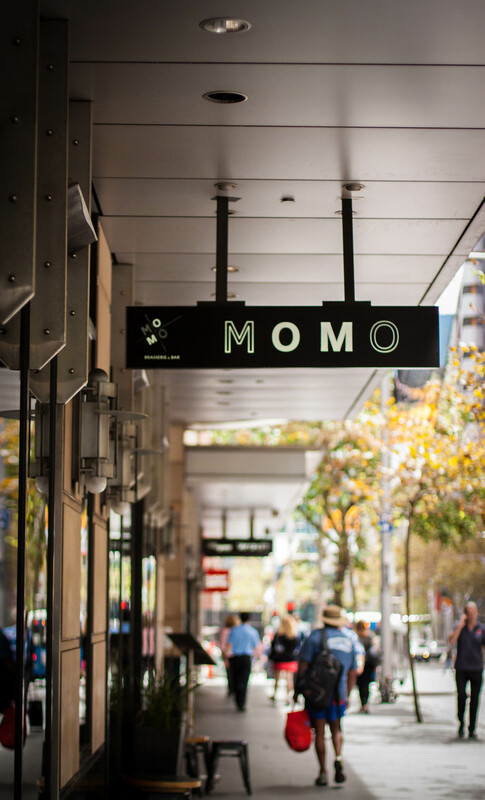 Momo describes itself as “the home of traditional New York Style Pastrami” and it’s easy to understand why. The house made pastrami was tangy, with a decent amount of both corned beef and sauerkraut. The sandwich itself wasn’t too thick which meant it was easier to eat then most Reuben’s I’ve had. The Garden Salad that accompanied the Reuben was average, but it helped to balance out the meatiness of the Reuben. 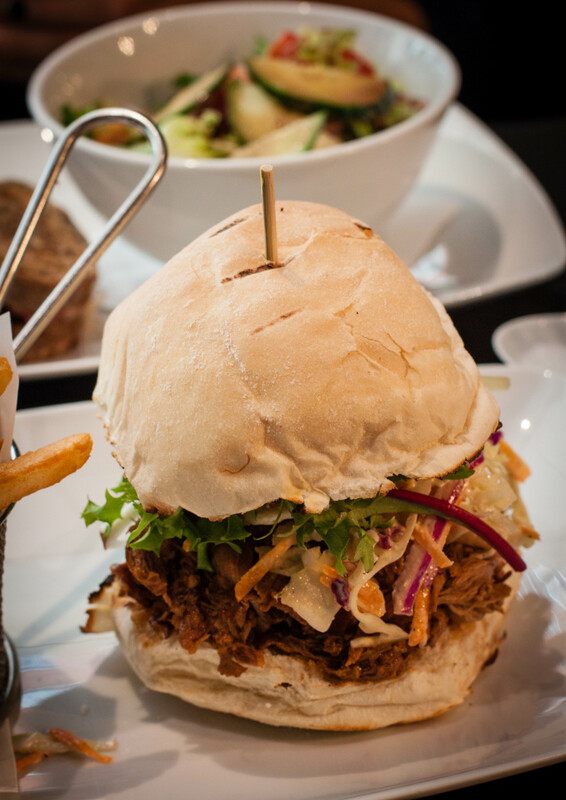 As well as the Reuben sandwich, we decided to share the “Momo’s famous pulled pork burger”. My sister got me hooked on pulled pork last december when she and my mum made home made brioche buns with pulled pork, so, ever since that day my expectations have been high. Those expectations were then exceeded in San Francisco (sorry Bianca) but that story is for another post! There was nothing wrong with the burger, but I think, once you have had the best, there is just no comparison. The pork was a little dry, but really soft. I think it needed a bit more of the creamy slaw and it would’ve been a whole lot better. The chips on the other hand were really crispy and fluffy so it was a win win in the end. 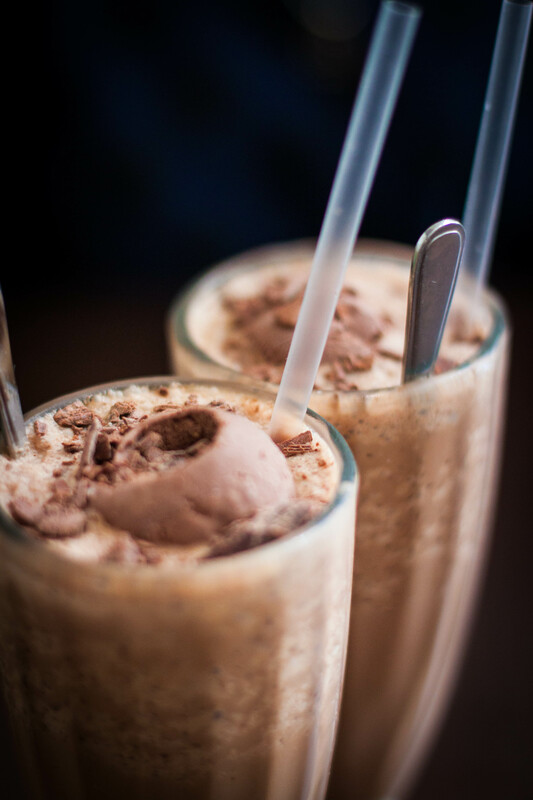 We stopped by Lindt Café after shopping up an imaginary storm at Pitt Street Mall and got the Iced Mocha. Everyone that knows me, knows that desert is my favourite meal so being a professed chocaholic I expected great things from this decadent mocha. 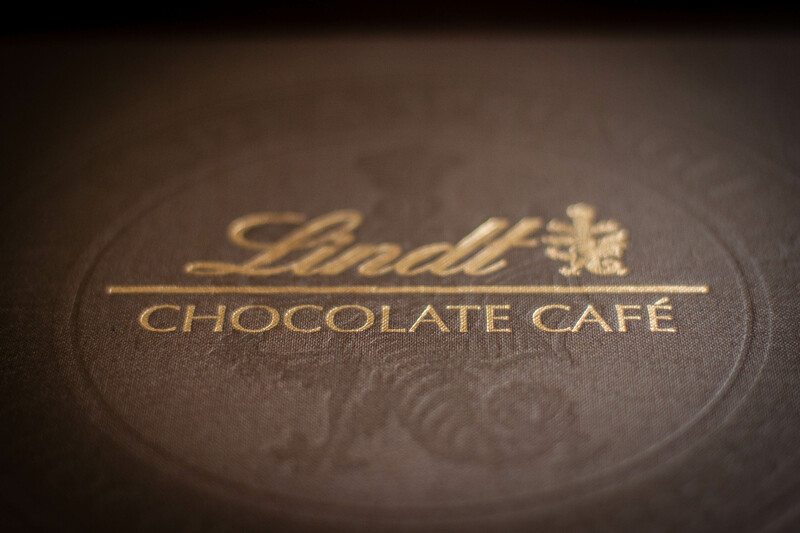 While I love me some Lindt chocolate the mocha was unsettlingly rich, The icecream, the milk, plus the powder of chocolate on top was too much for my little stomach to handle…But I would still go back. Maybe next time I’ll share! Prev Lunch with Jamie Oliver! Next Meat Free Week Challenge! This place is like 5mins walk away from my work! I like their pulled pork too and their wagyu burger. Love how they are only $10 if you have em to go. Didn’t try the wagyu burger but loved the Reuben. Have you been to Reuben & Moore Raff?